There are three main forms of compensation that most corporations pay to their employees. The primary type of compensation, of course, is cash, which comes in the form of hourly wages, contract income, salaries, bonuses, matching retirement plan contributions, and lifetime payouts from defined benefit plans. The second method of compensation comes in the form of benefits, such as insurance (life, health, dental, and disability), paid vacations and sick days, tuition and child care assistance, and other miscellaneous perks, such as company cars and expense accounts. But many employers also reward their workforce by allowing them to purchase shares of stock in the company at a discount. Stock compensation comes in many forms, and is popular with both employers and employees for many reasons. However, it does pose some potential drawbacks (to which the former employees of Enron and Worldcom can readily attest). Although the particulars vary from one form of stock compensation to another, the basic idea behind most forms is to provide workers with the means to buy company stock which they can then sell. The process of providing stock compensation usually begins by granting outright shares of stock to employees or the right to purchase it. The employer issues an agreement giving employees the option to purchase either a specific number or a dollar amount of shares according to a set schedule or other conditions as set forth in the plan. The option to buy the stock becomes active on a specific date known as the grant date. If the option to buy company stock is granted, the stock can then be purchased according to the plan rules, and the period during which this is permissible often lasts for several years until the opportunity is rescinded on the expiration date. Most option plans allow the employee to buy the stock either at a specific predetermined price, or at the price it was trading at on the grant date. This means that the employee will be able to buy the stock at a discount if it has risen in price by the time the option is exercised. This is when employees liquidate shares they acquired in the plan – either via exercising their option to purchase, or by being granted shares outright. Most employees can hold stock as long as they want, and in some case, may not sell it until retirement. This is because the value of employee stock options can grow substantially. For example, an employee may be allowed to purchase his or her employer’s stock at $45 a share – its price on the grant date. But this option could last for 10 years, during which time the stock might rise to $90 per share. The employee can then realize an instant $45 per share gain simply by exercising the option to buy at $45 and then selling the stock in the open market. Employee stock compensation is often awarded according to a vesting schedule similar to that used for company retirement and profit-sharing plans, and are thus used by employers to encourage tenure within the company. Other restrictions or conditions are also often placed upon stock options, such as their forfeiture if the employee goes to work for a competitor. The rules for taxation of stock compensation vary with each type of plan. The rules for some plans are much more complex than others, but in general, most employees will realize at least some income upon exercise of their options, and the rest upon the sale of the stock – unless the options are awarded inside a qualified plan. Employees are seldom taxed upon the grant of an option unless the option itself (not the stock) is actively traded and has a readily ascertainable fair market value. Some gains that are realized from stock option exercise may be reported as compensation income, while other types of gains are classified as either short or long-term capital gains. Any restrictions that are placed upon the exercise or sale of the stock by the company can also delay taxation in many cases until the restrictions have been lifted, such as when the employee satisfies the vesting schedule in the plan. 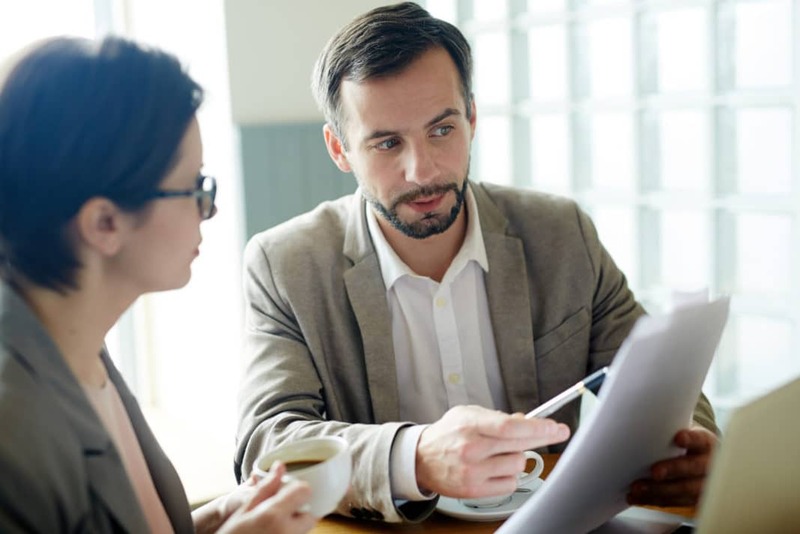 These plans can also be labeled as qualified or non-qualified, although these terms should not be confused with retirement plans that are labeled as qualified or non-qualified, where the former type of plan is subject to ERISA guidelines while the latter is not. 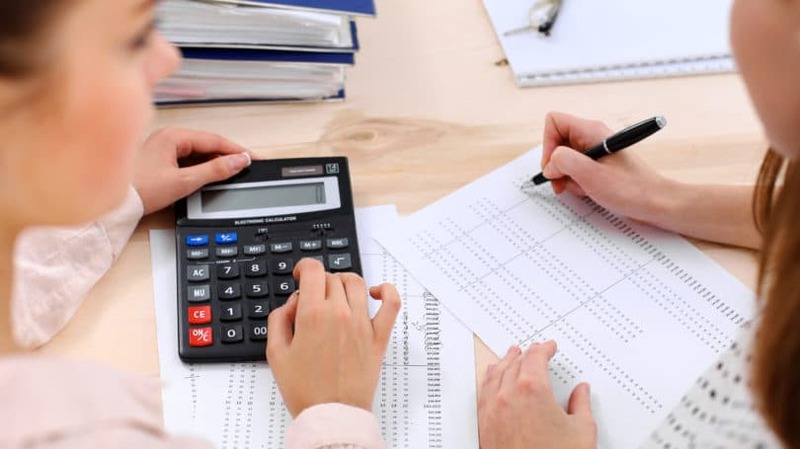 In general, qualified stock option plans do not immediately tax the employee upon the difference between the exercise and market price of the stock being purchased, while non-qualified plans do. Stock options mean additional compensation in the form of discounted stock purchases, which can be redeemed either now or later at an instant profit. In many cases, the options themselves come to have tangible value, particularly if the employee is able to exercise the option at a price far below where it is currently trading. Workers can also benefit from knowing that their efforts are at least indirectly contributing to the rise in the value of their investment. Employers reward their employees with stock for two main reasons. The first is that it is cheaper and easier for the company to simply issue shares of stock rather than pay cash to employees. The second is that this form of compensation can serve to increase employee motivation; a workforce that owns a piece of its employer gets to share directly in the profits of the company at large in addition to receiving their weekly paychecks. This can improve employee morale and loyalty, and reduce turnover in the workforce – as well as create another group of investors buying company shares. If the value of the company’s stock declines, then so do the values of the options or shares. Those who have accumulated substantial amounts of stock or options can see their net worths decline sharply in very short periods of time in some cases, such as during severe market downturns and corporate upheaval. When company stock loses value, it can leave employees feeling discouraged and lead to reduced productivity and morale. Depending on the reason for the stock value’s decline, the lack of employee motivation could drag the company, and thereby its stock, down even further. This is the simpler of the two forms of employee stock compensation that come in the form of an option. These options are also referred to as non-qualified stock options due to their tax treatment, which is not as favorable as that accorded to their statutory cousins. Non-statutory options usually require employees to immediately recognize the difference between the exercise price and the market price of the stock option upon exercise. This amount will be reported as a short-term taxable gain. Non-statutory stock options are offered primarily to rank-and-file employees of corporations as a means of achieving a share of ownership in the company. Also known as incentive (or qualified) stock options, statutory stock options are typically only offered to key employees and corporate executives as a special type of compensation. Statutory stock options can be exercised and sold on a more tax-advantaged basis than non-statutory shares because no income is recognized by the exercise of these options. Income is never recognized with these options, in fact, until the stock is actually sold. However, the income from these options can sometimes trigger the Alternative Minimum Tax. Many corporate executives and insiders who are awarded company stock are only allowed to sell the stock under certain conditions in order to comply with regulations aimed at curbing insider trading, such as requiring the executive to wait for a certain period of time before selling. This is known as restricted stock. RSUs, on the other hand, are a device to grant shares of stock or their cash value at a future date according to a vesting schedule without conveying actual shares or cash until the vesting requirement is satisfied. This is perhaps the simplest type of employee stock purchase program. ESPPs are funded via payroll deduction on an after-tax basis. The employer diverts a portion of the employee’s compensation into an ESPP account that accumulates money from the time of offer or enrollment until the purchase date. 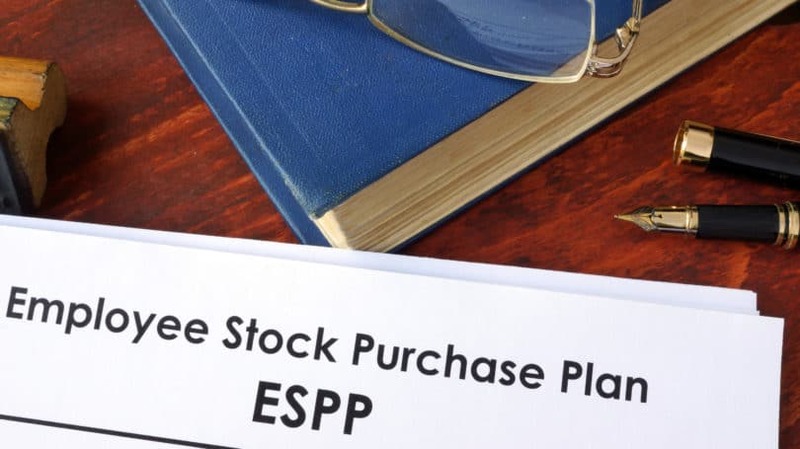 Most ESPP plans allow employees to purchase their company stock at up to a 15% discount from the current market price. These plans can be qualified, which allows for long-term capital gains treatment under certain conditions, or non-qualified, depending on plan type and how long the stock is held before it is sold. This is a type of qualified plan that is funded entirely with company stock. ESOPs are often used by closely held businesses as a means of providing a liquid market for the company stock on a tax-advantaged basis; owners can place their shares of the company inside the plan and then sell these shares back to the company at retirement. These are perhaps the best plans available from a tax perspective because income from the sale stock is never recognized until it is distributed at retirement, just as with any other type of qualified plan. This form of retirement plan funding came under close scrutiny by regulators after the Enron and Worldcom meltdown in 2002. Although many employers still dole out company shares to employees in their retirement plans, employees need to ensure that they are adequately diversified in their retirement portfolios according to their risk tolerances and investment objectives. The employees at Enron and Worldcom can bitterly attest to the foolishness of putting their entire retirement portfolios in a single company. Phantom stock is named as such because there may be no real shares of stock issued or transferred. This type of stock is typically geared to benefit executives and key employees, who may be required to meet certain requirements in order to be eligible for the plan. The “stock” is often paid to an employee in the form of so-called performance units that represent shares of the actual stock. Employees receive many of the financial benefits of stock ownership without actually owning the stock. SARs usually pay employees the value of the growth in the company stock over a predetermined period of time. This payment may be in cash, or it can be done with actual shares in some cases. Stock compensation is one of the most versatile forms of payment available for both employers and employees. However, one of the challenges that many workers face is knowing how their company’s stock can or should fit into their own financial plans. Although company stock can often provide substantial gains over time, it can also create taxable events, in some cases, even when no cash is realized. To learn how your stock compensation program works, including how and when you’ll be taxed on gains, consult your HR department or financial advisor.